A nice baby shower gift idea; the first baby hat! 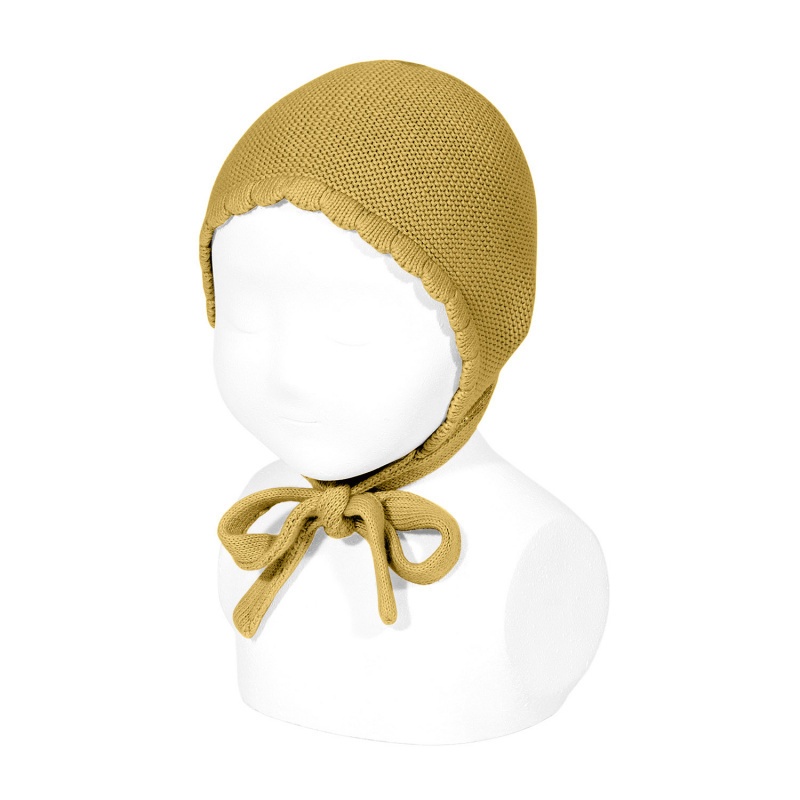 Knitted bonnet from Condor in ochre. Very soft 100% cotton. Matching baby bloomers available. More colors. The Barcelona-based Condor brand has been designing and manufacturing quality knitwear and cotton tights for babies and children for over 120 years. The tights do not pill and have a permanent nice fitting. Available in a wide range of beautiful colors! Designed and made in Barcelona, Spain since 1898.